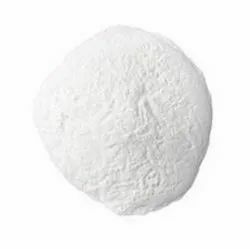 We are a leading Manufacturer of romoban (sodium propionate), finamul 90, lion flakes gms, finamul 97 ssl, finester sms and finester sts from Ahmedabad, India. 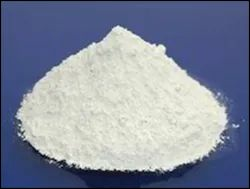 ROMOBANSODIUM PROPIONATE is used extensively as a mold/fungal inhibitor in Breads, Cakes, Pizzas, Cheese etc. • SODIUM PROPIONATE is non-volatile, non-corrosive and essentially non-toxic. • It is easily miscible with water and safe to handle. • It does not affect the flavour, taste and the appearance of baked goods. 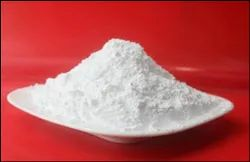 • Unlike Calcium Propionate, it does not affect the leavening action of baking powder, which is normally used in cakes. · Store in cool & dry place in tightly closed bags / containers. Finamul 90 (Distilled Monoglycerides) produced from raw materials derived from vegetable origin. As an emulsifier it can be used in various food products like bakery products, ice creams, cookies, biscuits, chocolates, toffees, margarine, peanut butter, cheese spreads, coffee creamers, fudges; lubricant for extruded products like pasta. · To be stored in original packaging in cool max.25-30°C & dry place, away from direct heat and sunlight. Lion Flakes GMS produced from raw materials derived from vegetable origin. 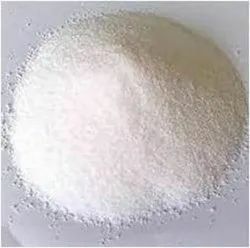 As an emulsifier in various food products like bakery products, ice creams, cookies, biscuits, chocolates, toffees, cheese spreads, coffee creamers, fudges, lubricant for extruded products like pasta. • To be stored in original packaging in cool max.25-30°C & dry place, away from direct heat and sunlight. 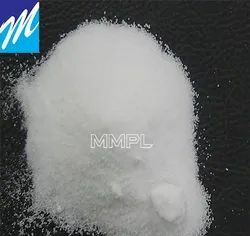 Finamul 97 SSL (Sodium Stearoyl-2-Lactylate) produced from raw materials derived from vegetable origin. As an emulsifier it can be used many products like dough conditioner in baked products, pancakes, wafers, dehydrated potatoes & non dairy creamers. • To be stored in original packaging in cool max.20°C & dry place, away from direct heat and sunlight. Finamul 97 SSL is hygroscopic and may cake during shipping and storage in non-ideal storage condition. • 25 Kg. Boxes with PE liner. Finester SMS (Sorbitan Monostearate) produced from raw materials derived from vegetable origin. 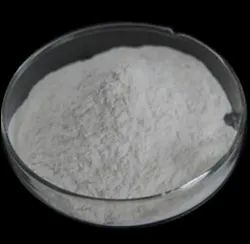 It can be used as a rehydration aid in the production of active dry yeast and as an emulsifier in food products like protective coating on fruits & vegetables, confectionery. Finester STS (SorbitanTristearate) produced from raw materials derived from vegetable origin. It can be used as an anti-bloom agent in chocolates and anti-crystallizing agent in palm oil / cooking oils. Finamul VR 48 (Polyglycerol Polyricinoleate) produced from raw materials derived from vegetable origin. 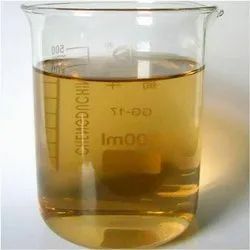 It can be used as a viscosity modifier in chocolate coatings and also used as an emulsifier in the preparation of pan release agent. 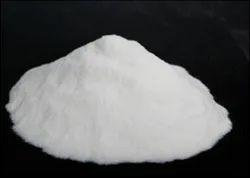 Finamul VR 42 (Polyglycerol Polyricinoleate) produced from raw materials derived from vegetable origin. It can be used as a viscosity modifier in chocolate coatings and also used as an emulsifier in the preparation of pan release agent. Diaceteyl tartaric acid ester of Mono di-glycerides made from edible vegetable oil. FINAMUL- 4050 L and its ingredients meet the general and specific requirements of purity of the WHO/FAO – standards and the directives of the EEC. • Facilitates easy release of dough from the moulds & cutters. • Reduces quantity of shortening upto 20% in biscuits/cookies. • Store in cool & dry place. 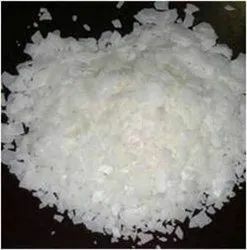 Description: Finamul 2816 is a blend of PGPR and ammonium phosphatide. To be stored in original packaging in cool max.20°C & dry place, away from direct heat and sunlight. Product should be stirred well before use. 12 months from the date of production, if stored under ideal storage conditions. Finamul 2816 meets the specifications fixed by FAO/WHO and the EU. However, users must check for permissibility for the use of this product in foods in their own country as the food laws may differ in each country. MSDS/Non- GMO/Allergens Certificates are available upon request. 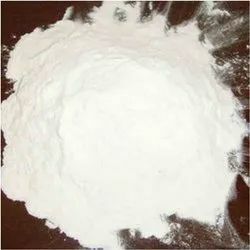 Usage/Application Bakery Products,cakes,whipped toppings,shortening,chewing gum,coatings. raw materials derived from vegetable origin. 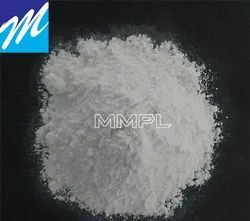 As an emulsifier in various food products like cakes, whipped toppings, shortening, chewing gum, coatings. To be stored in original packaging in cool max.25-30°C & dry place, away from direct heat and sunlight. whipped toppings for formation of good and stable foam. materials derived from vegetable origin. As an emulsifier and whipping agent in various applications in baked products. MSDS/Non GMO/Allergen/Kosher/Halal certificates are available upon request. To be stored in original packaging in cool max.20°C & dry place, away from direct heat and sunlight. 25 Kg. Boxes with PE liner. Wheat Gluten, a natural food protein, is the water-insoluble complex protein fraction separated from wheat flours. The addition of gluten to the dough provides the elasticity needed so that the buns retain a uniform shape when filled. · Batter: Ensuring a durable adhesion of batter crusts to foods is a quality problem, especially in frozen foods. Using a dusting of gluten powder before applying the batter vastly improves the adhesion in both hot and cold temperatures and the results are comparable to (more expensive) egg. The gluten also assists with food moisture as the product is better sealed and the surface crust that results is crispier and more appealing. · Pasta: Pasta manufacturers prefer to use semolina made from Durum wheat as it produces better quality pasta. However the addition of gluten to semolina made from other wheat varieties can improve their suitability for pasta doughs. Smoothex GMS (Mono & Diglycerides, selfemulsifying) produced from raw materials derived from vegetable origin. As an emulsifier in various food products like bakery products, ice creams, cookies, biscuits, chocolates, toffees, cheese spreads, coffee creamers, fudges, lubricant for extruded products like pasta. • Act as a starch complexing agent & hence avoids structure degradation during baking and promotes a fine texture. • Gives a soft moist crumb & even pore size and excellent texture. • Greater dough mixing tolerance. • Less tendency of dough to collapse during machine handling. • Retention of moisture & sponginess. • Imparts very good antistaling property. • Reduces quantity of shortening by 30% - 50%. 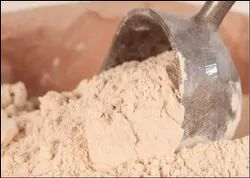 Finamul – 2306 is a unique premium blend of emulsifier in powder form, used in the manufacture of high quality breads, cakes and other bakery products. - Acts as a starch complexing agent. - Acts as dough Strengthener. - Greater dough mixing & fermentation tolerance. - Retention of moisture & sponginess. - Reduces quantity of shortening by 30% - 50%. As an emulsifier in various food products like cakes, whipped toppings, shortening, veg.creams. MSDS/Non GMO/Allergen/Kosher/Halal/HACCP certificates are available upon request. Finamul-9750 is a premium grade emulsifier system, made from selected emulsifiers acting in synergism, specially developed for producing high quality biscuits by replacing lecithin & other emulsifiers. • Even distribution of fat in dough leading to uniform baking & elimination of raw taste of the flour. • Helps in preventing ‘Cracks’ or ‘Blister Bursting’ thereby reducing breakage losses. • Improves colour & appearance of biscuits. • No need to add extra emulsifier like Lecithin. • Doesn’t have rancidity problem like lecithin. · Store in Cool & Dry place. biscuits with added cost advantage. 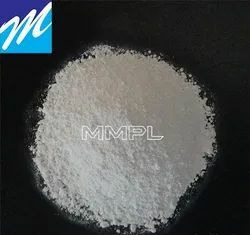 (Slight variations of the specifications stated due to raw materials and production conditions are possible though they have no influence on the application properties described). FINAMUl-87 performs as a highly effective emulsifier system giving micro fine emulsion, thereby enabling the reduction of fat in biscuit production to the tune of 25%. Plants in Europe normally achieve this effect using high shear mechanical dough stirring, which obviously involves high capital costs. 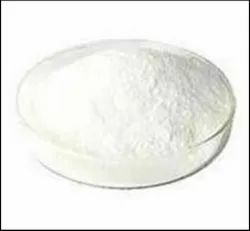 -Mix the desired quantity of FINAMUL-87 with the required quantity of fat (predetermined in the formulation) for five minutes until a fluffy batter type fat mix is obtained. -Mix this fat into the flour as per the normal sequence of operations. -Rest of the procedure remains unaltered. -Even heat distribution during baking due to fine dispersion of fat. -Imparts Crispness in biscuits, which is maintained over significant period of time. -Above advantages could be had with a 25% reduction in fat levels. -Traditional emulsifiers like “LECITHIN” do not perform with the same efficiency as FINAMUL-87 at reduced fat levels. -Initial mixing of fat & Finamul-87 for 3 - 5 minutes is essential. -In case the quantity of flour is increased vis-à-vis the reduced fat quantity, so as to offset the loss in yield, then water has to be increased accordingly to maintain the desired dough consistency. Otherwise the biscuits might appearmore drier & harder. The recommended dosage is 0.15% - 0.20% on the quantity of reduced fat. 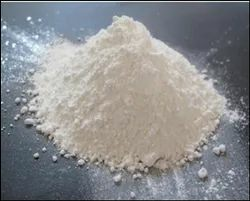 ROMOBAN CALCIUM PROPIONATE is used extensively as a mold/fungal inhibitor in Breads, Cakes, Buns, Rolls, Pizza Bases, Doughnuts and other baked goods. • ROMOBAN is non-volatile, non-corrosive. • Easily miscible with water and safe to handle. 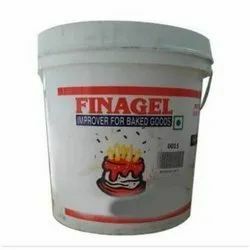 FINAGEL is a specially developed batter aerating agent for manufacturing high quality Sponge, Genoise & Madeira type of cakes. • Imparts strength & stability to the batter. • Reduces the use of fat and eggs. 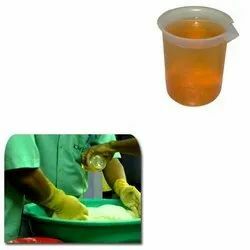 • Can make sponge with an excellent volume, structure & good shelf life. • Gives good sliceability to sponge. Looking for Food Additives Raw Material ?